The search is finally over! The search for Eagle Industries pouches in coyote brown color that is. I got all ten pouches/pack that I wanted in a very rare color: COYOTE BROWN! Various Eagle Industries Pouches in Coyote Brown color!! Extremely rare! Unlike buying CIRAS vest replica from Hongkong where you get all the pouches (9 pouches total), you have to buy one-by-one when it comes to the REAL THING (pouches are sold separately). 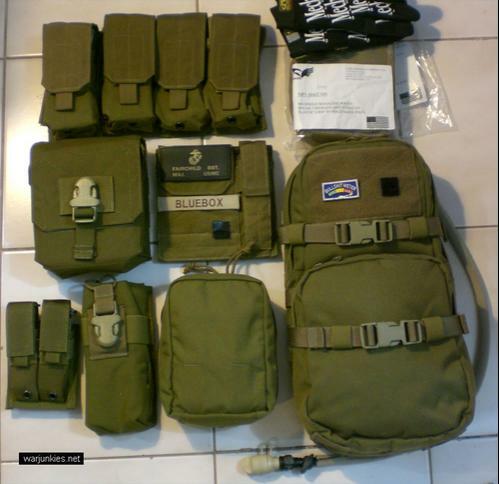 You have to buy the vest first then the mag pouches, medic pouch, radio pouch, admin pouch and so on and so on. It\'s quite a challenge especially the coyote brown version. As you know, Eagle Industries only sell Khaki, Ranger Green, ACU, black & Olive Drab color commercially. Eagle does not sell coyote brown version in public, they just won\'t made it for commercial market. Eagle MLCS Admin Pouch w/Light: The \"With Light\" version of the Eagle MLCS Admin pouch in coyote brown. The pocket for the light has been added to the outside of the front panel, so the main pocket is the full width.